It’s an axiom of songwriting: suffering begets art. Personal struggle at the heart of so much great music makes one wonder if some troubadours wouldn’t be happy without misery. Do they will their sorrow and heartbreak simply to feed the muse? The Boston-based folksinger’s own bouts with depression yielded “Come Up Full,” one of the year’s most fully realized albums. With unflinching honesty, Hutchinson explores “the dull roar of loss” that led to moments of “one girl in a hospital bed” trying to recall the words to “Over the Rainbow” as she plunges into darkness. “The nights can take so long,” she sings. “At the core, it’s a very personal journey and those are the songs that are the most honest and at times the most difficult to sing, that I may ever write,” says Hutchinson. But the record, Hutchinson’s fourth since her eponymous 1996 debut, doesn’t dwell on her difficulties. Rather, “Come Up Full” celebrates the journey back. It’s an album Nick Drake might have made if he’d managed to beat his demons. “Most of these songs came out of the toughest years,” Meg says, “and really recognizing this huge spectrum of emotion in my life, and hitting rock bottom – then coming through it kind of like a small death. Indeed, from the opening song, which proclaims “I belong to the day now,” to the pronouncement, “if you look real close you might see scars/but me, I’m only seeing stars,” it’s ultimately a very positive work. “I do feel like I’m a very optimistic person, and that was tested to the core,” she says. “I think that test is in there in those songs. But overall, I am a very hopeful person. Some of her strongest work has nothing to do with her own struggles. “Song for Jeffrey Lucey” tells the true story of a young Iraq War veteran, haunted by his experiences, who committed suicide. “America,” written at the outset of war in 2003, powerfully employs images in nature to portray the bipolarity of political discourse. Hutchinson says she found another idea for the song when she spotted “a helium balloon, just to the point of being deflated. The ribbon was touching the lake and it was kind of skating around in the middle of the pond and it wasn’t sinking and it wasn’t’ floating off. Hutchinson was born and raised in the Berkshires, and moved to Boston in 2002. Since then she’s become a steady force in the area folk scene, and was recently nominated for her second Boston Music Award. Does the rich array of local talent shape her own work? Harmon (Lori McKenna, Martin Sexton, Mary Gauthier) produced “Come Up Full” and 2004’s “The Crossing.” Hutchinson says he’s taught her a lot about song structure. Even while living in bustling Somerville, Meg remains a country girl. “I still manage to get out in the woods when I’m not touring, just about every day with the dog, and even to a point where I don’t hear the traffic. I get lost in the woods,” she says. I admit I’m a media junkie, but my habit gives me perspective. As an unpaid entertainment taste tester, I’ve tried everything. What I’m saying is – you can trust me. The endless stream of television provider ads would have you believe that quantity is all that matters. Comcast claims to have enough on-demand programming for two lifetimes. DirecTV touts the most high definition channels (not mentioning that 30 of them are off-limits regional sports stations like MSG). I’ve no quarrel with excess, but Dish Network proves it’s not all about the numbers. 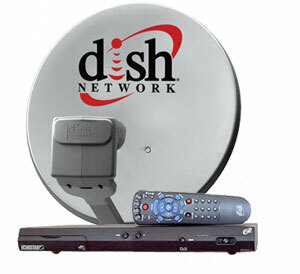 I’m sticking with Dish for the same reason I have a Mac – it works. Begin with a smart user interface that provides rich details like original airdate and episode number. Add custom program guides and a dual receiver with an IR remote control that lets me pause shows on one TV and resume them on another. Dish also has a high gadget factor. Since activating the USB port on my VIP 622 receiver (for a one-time charge) I can now back up my favorite shows to a portable hard drive – no more DVD box sets for me. There’s also an iPod-like device available with built-in Dish compatibility, to record shows for portable viewing. Oh, and did I mention that the programming is top-notch? This weekend, I watched “Sound Explosion” on the Smithsonian HD Channel, a new six-part series about the evolution of American music hosted by Morgan Freeman. Part two weaves disparate elements like Eric Clapton, Buddy Guy and Guitar Slim with the swampy histrionics of the Jon Spencer Blues Explosion and Carlos Santana, while the jazz-focused third episode features archival footage (in high def, no less) of Miles Davis’s final performance at Montreaux in 1991. Dish isn’t perfect. It huffily cancelled all 15 Voom channels last May, effectively killing the best provider of true-HD music programming, not to mention high-def kung fu movies. But they do offer east and west feeds of HBO, Showtime and Starz – in HD. So I’ll cut them a break, though I hope they’ll kiss and make up with Voom. OK, enough of my excessive habit. What’s happening in the live music scene this week? Thursday: Ray Davies, Higher Ground – Though his solo work isn’t on a par with the best of the Kinks, Davies is worth seeing for his talents as a raconteur alone. Heck, VH1 created the “Storytellers” series just to hear Ray read aloud from his autobiography. He’s one of the few survivors of the British Invasion who’s still trying to find something interesting to say rather than just relying on old hits. Friday: Song Circle, Hotel Coolidge – A First Friday tradition returns with an open invitation to anyone with a song to sing and something to sing it with – things get underway at 4 PM. White River Junction’s musical renaissance also includes the Tuckerbox Café singer-songwriter series tonight, with Betsey Stewart hosting a 6 PM start. Between the two, there’s more than enough to get your folk on. Saturday: The Thang, Sophie & Zeke’s – A bigger space means bigger bands. Headlining an all-day slate of music that includes an afternoon set by Sensible Soul and performance from alt-rocker Abby Payne, this New York-based funk band plays high energy dancing music well past the dinner hour. It’s all part of the official grand opening of the new S&Z’s location in Claremont’s Opera House Square. Celebrate good times, come on! Sunday: Samirah Evans, Center at Eastman – This elegant jazz vocalist was a mainstay in her hometown of New Orleans, performing at Snug Harbor, Sweet Lorraine’s, the House of Blues and other well-known clubs. Her debut album made the Times-Picayune’s Top 10 in 2002. When Hurricane Katrina hit, Evans and her husband, a Vermont native, moved to Brattleboro. Sunday’s set kicks off this year’s JOSA series. Monday: Vienna Teng, Iron Horse – Blending elements of classical, rock and baroque folk, Teng performs epic songs fueled by her magnificent soprano. She’s similar to Tori Amos and Sarah MacLachlan in that all three can fill a room with just a piano and a voice to sing with. I prefer Vienna’s songwriting for its depth and vision, however. She plays solo tonight; with a new album due next year, a full band tour should follow in the spring. Wednesday: Emily Lanier & Fred Haas, Canoe Club – The former New Kind of Blue singer joins up with Haas, an ace piano and saxophone player and perhaps (according to CC’s official schedule) talented guitarist Jason Ennis. Whatever the combo, Emily’s elegant voice will surely add to the dinner ambience.